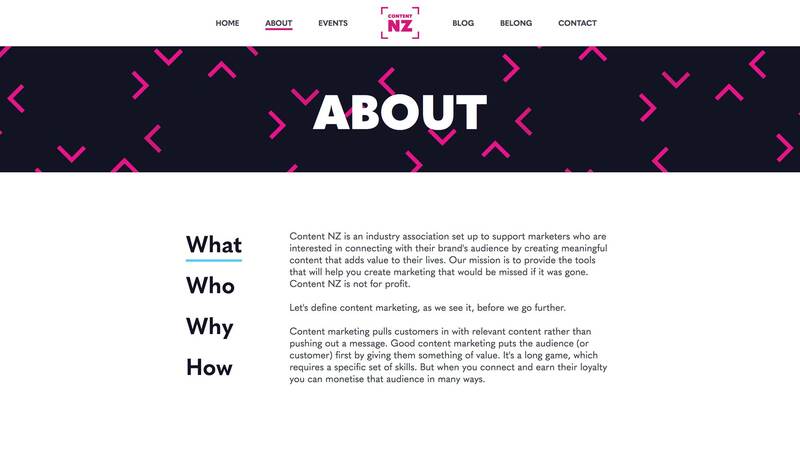 As a new entity, Content NZ needed a website to launch their association to the New Zealand public. The main purpose of the website is to let members know about upcoming events and networking opportunities, and provide a blog with informative articles. 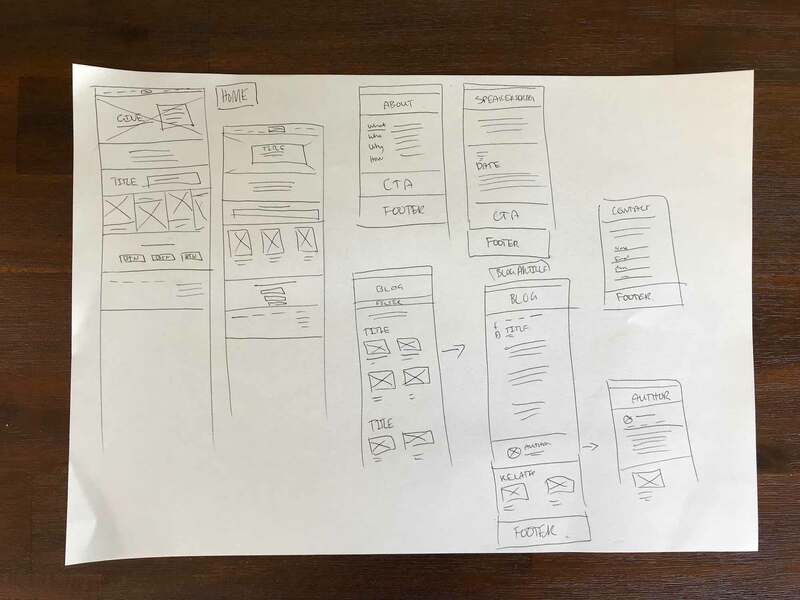 It was important for the website to be eye catching but also let the content be the hero. My first steps were to speak with the client and understand the target audience and the offerings from the organisation. 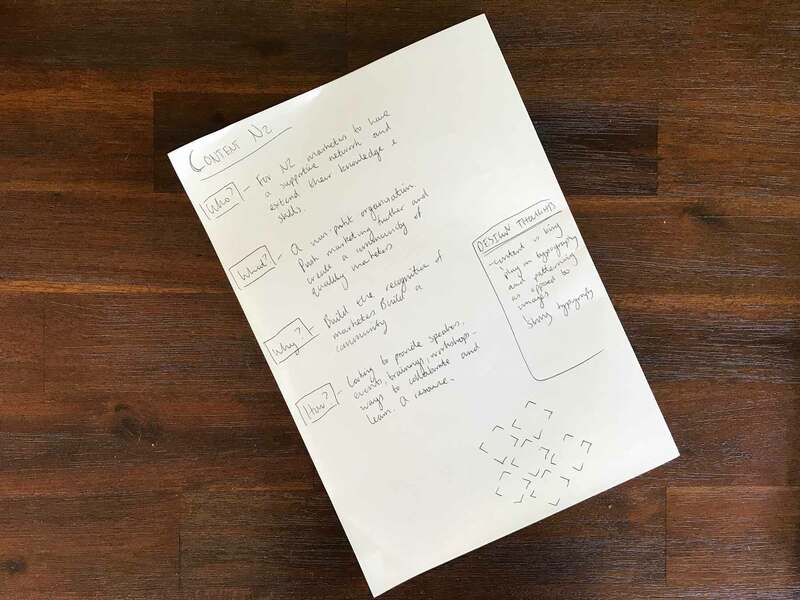 It was important to get a sense of what the organisation stood for and the messaging it wanted to convey as the results influence the design and structure of the website. With an understanding of the organisation I began sketching out possible layouts. The client provided a sitemap which I was able to work from to develop the page structure. As the site's target audience is marketers and journalists, the layouts relied heavily on typography instead of images to distinguish the content. My role was to design a fully responsive website and create the visual style for Content NZ. The only assets originally supplied were the logo and colour palette - the rest of the identity was crafted during the web design process. Along with working with copywriters I also managed the build of the website, completed by our in house developer. The Content NZ site is all about being loud and proud - making content creation current and exciting. The content was priority so the website uses minimal images and instead concentrates on bold graphics and typographic hierarchies to keep each page dynamic. The header banners utilise the logo design to create an effective pattern and is an asset that can be used across other branding materials. The blog is easy to use and the reduced container width of the articles makes reading a natural process. 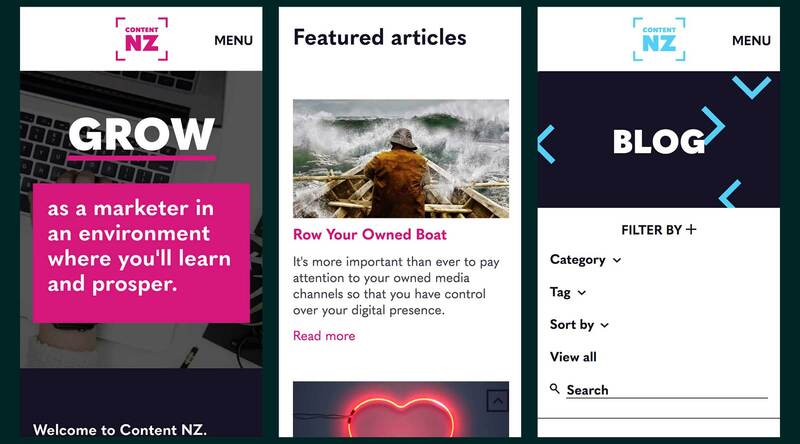 Content NZ now has a platform that serves as an information hub for content creators. It is capable of taking payments direct from the site, allowing the user to complete their experience seamlessly. 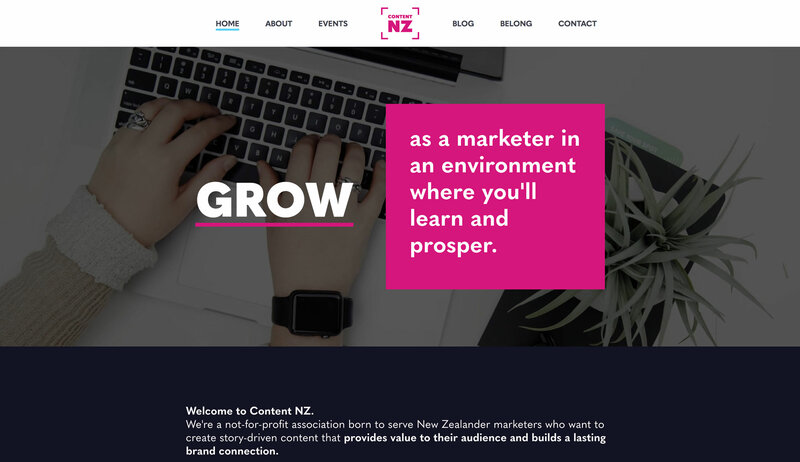 Content NZ now hosts events around the country, promoting directly from the website as well as their social media channels.